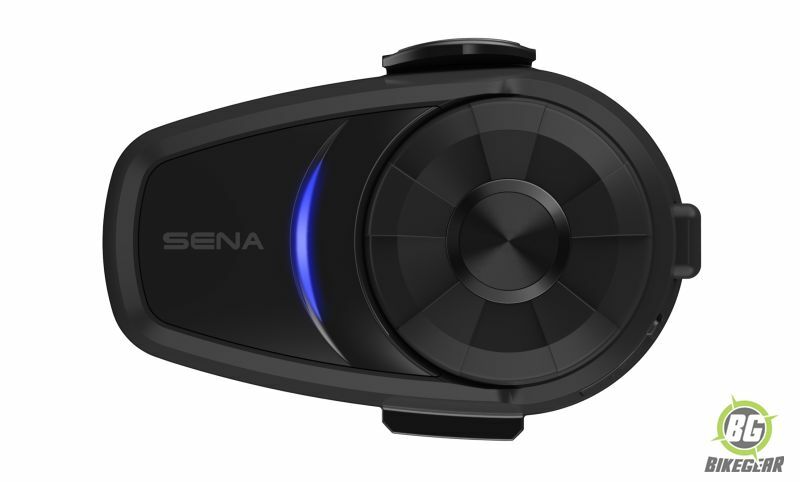 The Sena 10S is the latest in high-end stereo Bluetooth headsets for Adventure Motorcyclists. 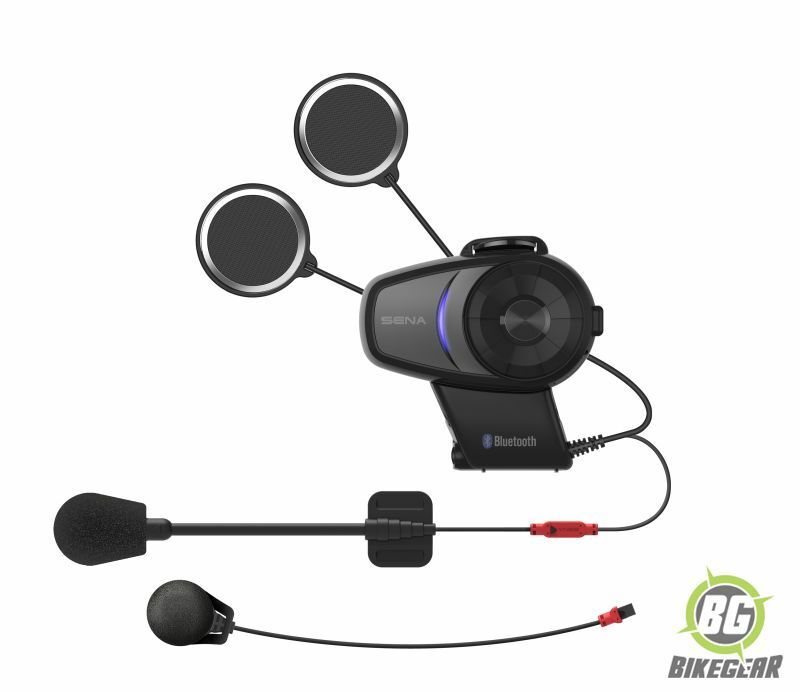 Suitable for use in any helmet, it offers an increased intercom distance and voice prompts for all key functions – including speed-dial for up to three favorites saved in the headset. 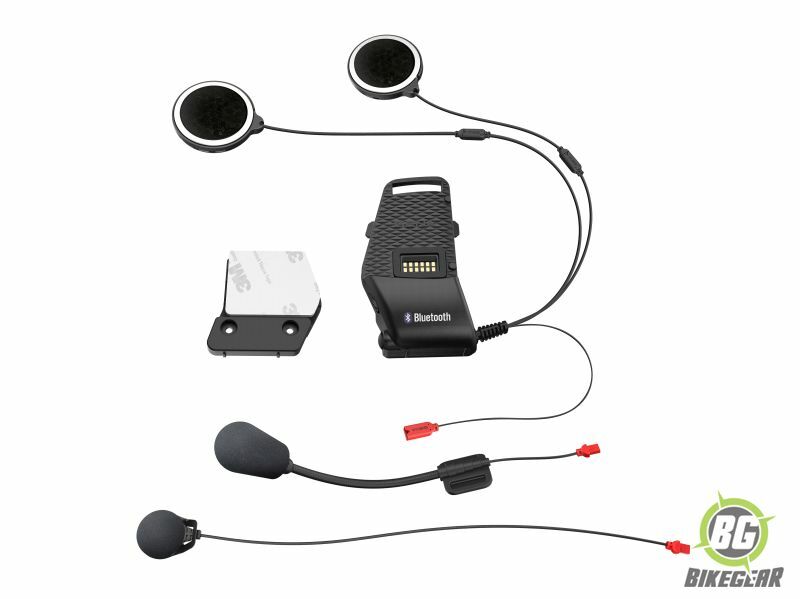 The Universal Intercom protocol allows it to communicate with headsets by other manufacturers. Further enhanced HD audio sound quality keeps the rider in touch with up to four riding companions and even offers group intercom. 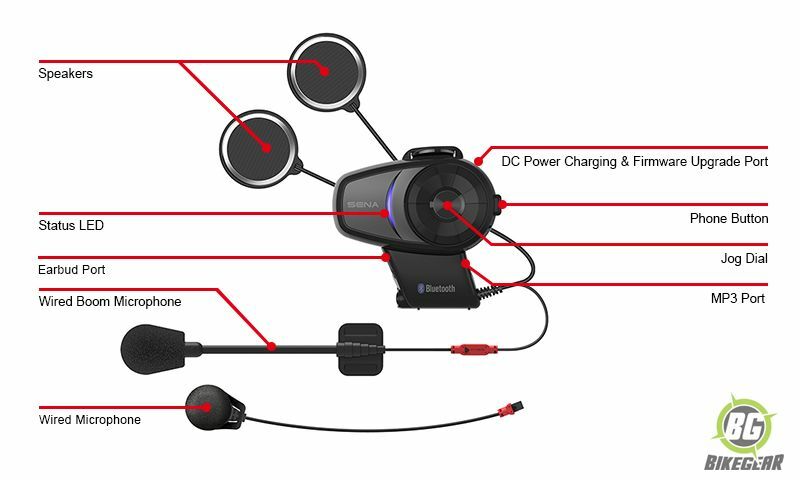 An integrated FM Radio with RDS can pre-set ten stations, adding to the joys of the journey, while Music Sharing allows riders to share music and navigation instructions wirelessly via Bluetooth with companions or a passenger. Operating temperature: -10˚C – 55˚C (14°F – 131°F). Main module: 85 mm x 57 mm x 27 mm (3.4 in x 2.2 in x 1.1 in). 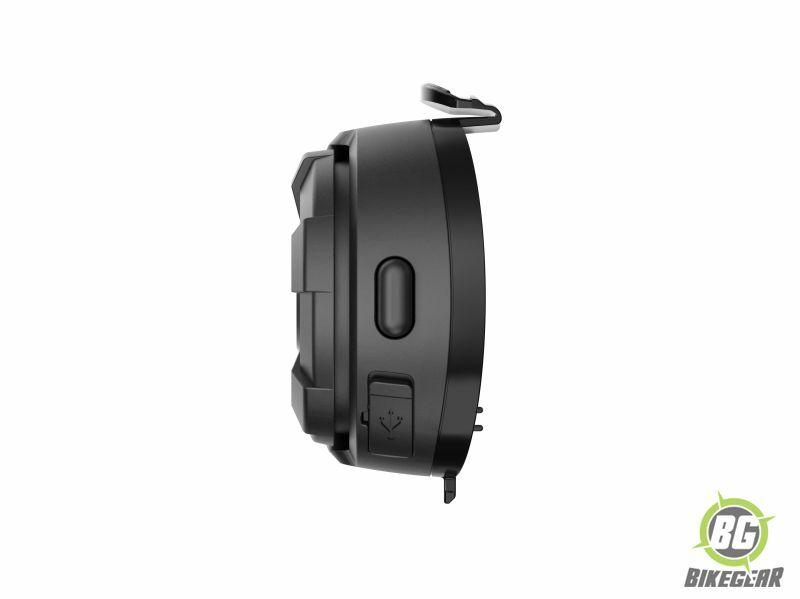 Speaker: driver unit 36 mm – thickness 6.5 mm. Boom microphone length: 183 mm. Weight: module: 57 g (2 oz). 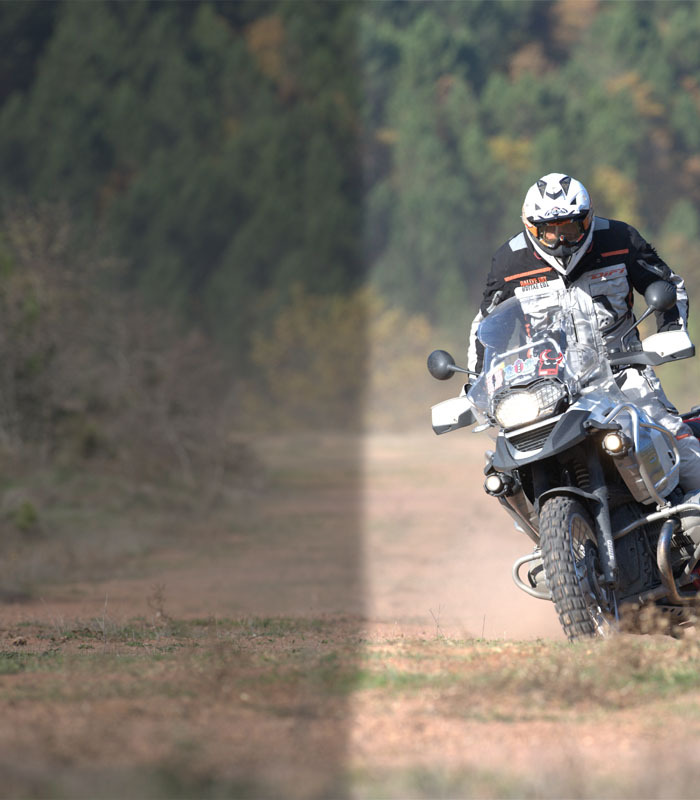 Working distance: up to 1.6 km (1.0 miles) in open terrain. Sample rate: max. 48 kHz (DAC). Built-in FM radio with RDS AF (Radio Data System Alternate Frequencies). Radio frequency specifications: 76 – 108 MHz. 10 preset station memory with automatic scan function..